It’s beginning to look a lot like Christmas in my house. I’m usually feeling blue this time of year as the holidays just isn’t the same with both my Grandma and Nana gone. Putting up a Christmas Tree feels more like a chore than fun, and the only reason I even bother putting one up is for my son. Sometimes it doesn’t go up until Christmas Eve. But this year is different. 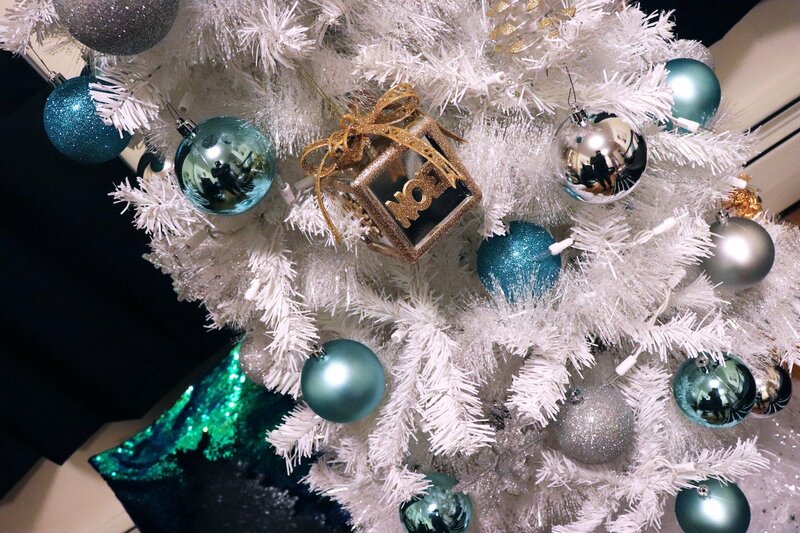 I made a vow to myself to shake the blues away and embrace the spirit of the season. To help me along the way I decided to give my little tree a makeover and bought some new decorations so she would look extra pretty. I didn’t want to spend too much though since this is already an expensive time of year. 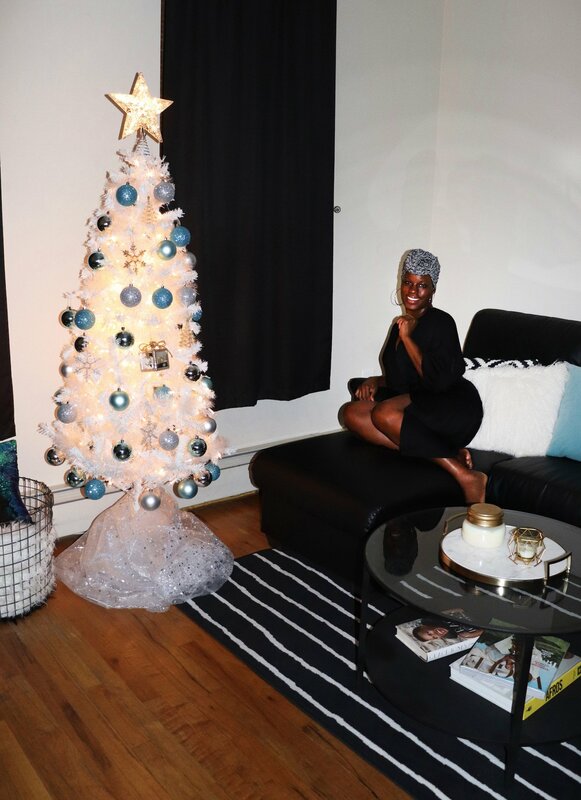 Here’s how I created a stylish Christmas Tree without breaking the bank. 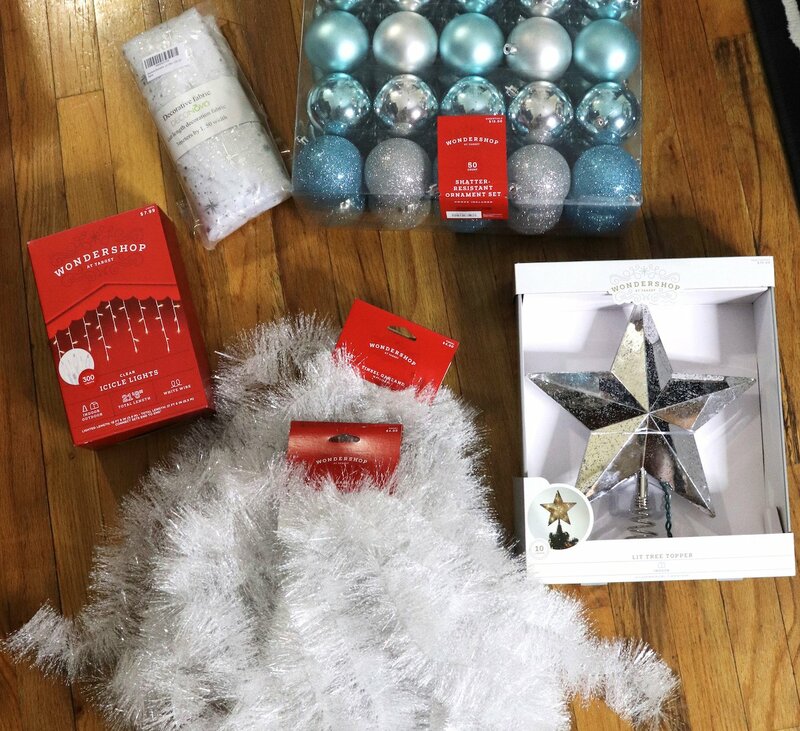 I managed to get everything that I needed for less than $50 thanks to Cyber Monday sales. All of these items are currently still on sale. Some on further discount than when I purchased. Free shipping deals makes the price even sweeter. 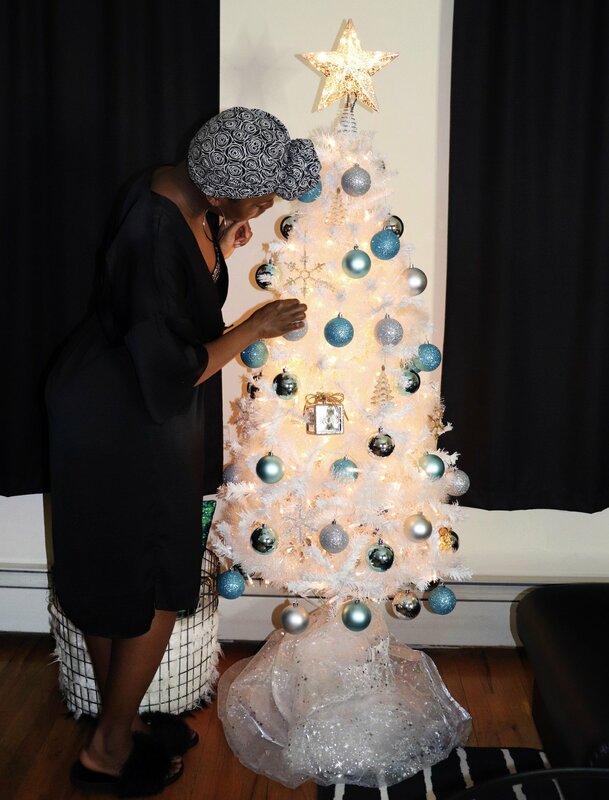 My faux tree is a baldheaded scallywag lol. I’ve had it for at least 10 years and it was a last minute buy. It was the last one left and pitifully patchy. But I only paid like $15 for it so I made it work. I’m surprised that it even has branches left at all. I planned to buy a new tree this year. But since I had to buy new decorations I decided to hold off on that purchase until next year. I was able to make my tree appear fuller though with a few tricks. First I added a strand of 300 ct. icicle lights. Strategically placing the cords between the branches immediately made my tree look fuller. Next I added three strands of white tinsel garland. Weaving through the bald patches to make my tree look even fuller. I usually never use garland and I’m mad that I didn’t think of this trick sooner. 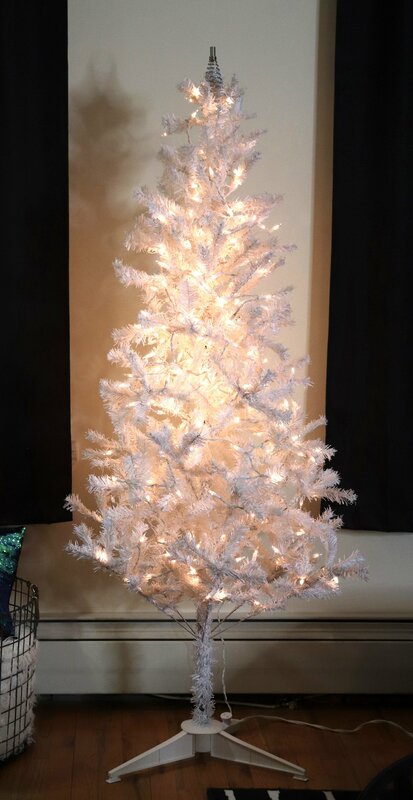 At $3 and change per strand it helped tremendously on my quest to create a stylish tree on a budget. My living room is black and cream/white with pops of tiffany blue and metallics. 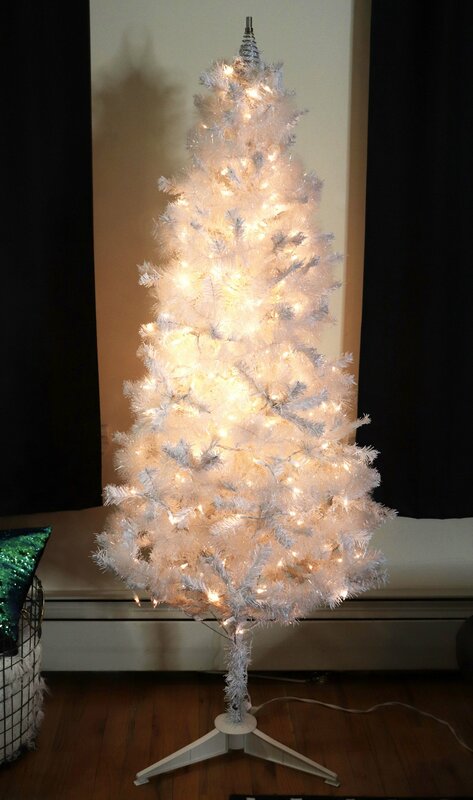 Since I have a white tree I decided to decorate it in coordination with my decor. 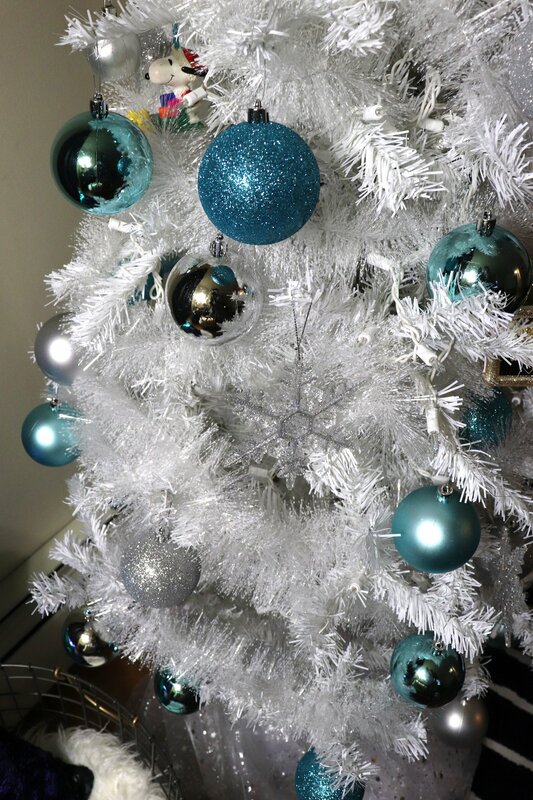 I added a set of 50 ball ornaments that included shades of tiffany blue, teal, turquoise and silver, in a combo of shiny, matte and glitter balls. I went through my stash of old ornaments and pulled out all of the gold, silver and glitter ornaments to add to the tree with the balls. Along with a few keepsake ornaments including one that my son made me in Kindergarten. My son also added a few of his favorite ornaments. Can you spot Snoopy? 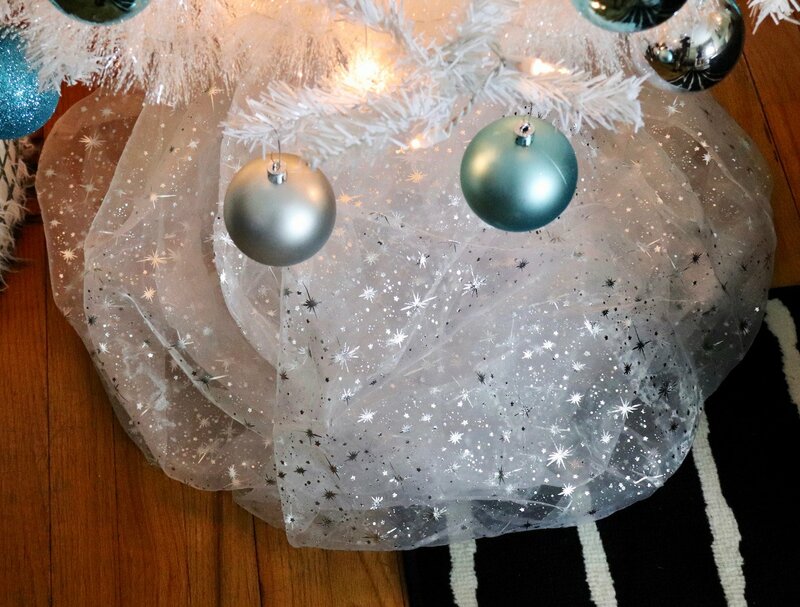 I used a piece of organza fabric with metallic stars to make this organza tree skirt. It added a unique touch to the tree. I always let my son do the honor of placing the star atop the tree. 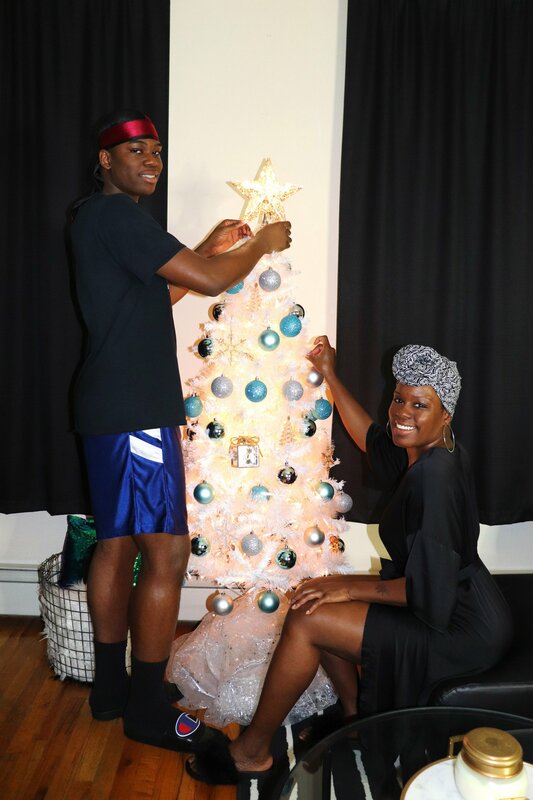 Yes he’s taller than the tree, yet the tree is taller than me lol. 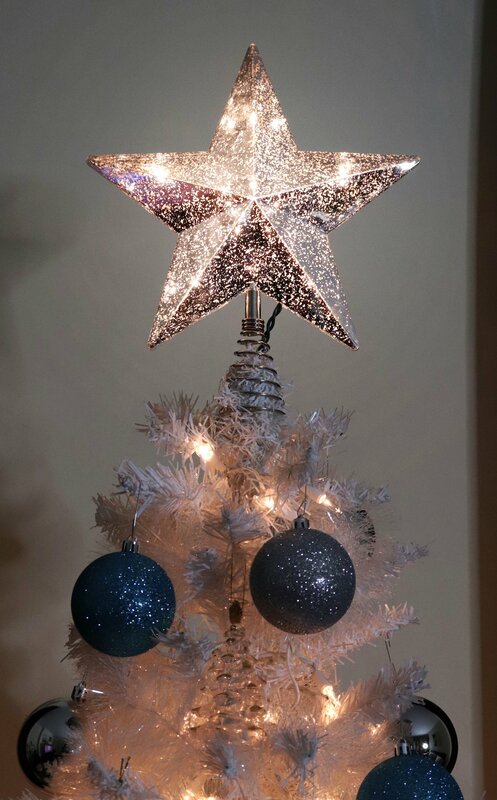 This star topper looked a little cheap in the box, but was beautiful once on the tree and lit. I did some last minute adjusting to the decorations and put my blanket basket that usually sits where the tree stands next to the tree. I sat my sequin pillow (that’s usually on my bed) on top of the faux fur blanket. The arrangement added a nice touch. 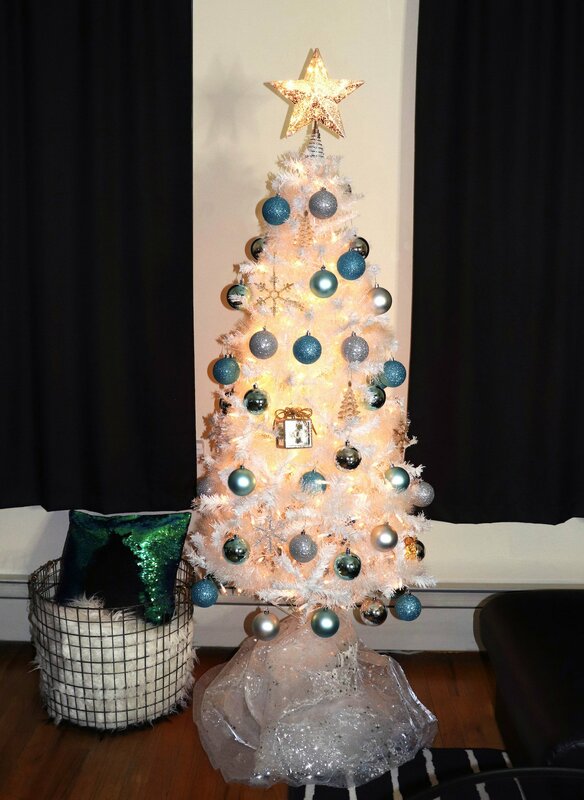 The result is a stylish Christmas Tree on a budget. Now I just need to get some coordinating wrapping paper and get some gifts under the tree! When I’m not hunting down the latest and greatest beauty products, beating a face or lacing a do, you can find me roaming the streets of NYC in my stilettos looking for the next best restaurant. Or in the kitchen trying to outdo myself from the last time.